If you’re in need of a South Jersey electrical contractor for churches, D.P. Murt Co. Inc. is your choice. We are a Pennsauken-based, veteran-owned business, and we provide electrical contract work for churches in Burlington, Camden, Cumberland, Gloucester and Salem Counties. 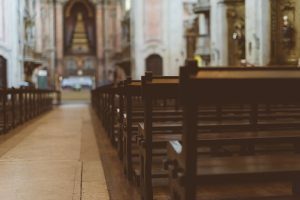 If your church has existed for a long time as many have, you may be using an aging and inefficient electrical system. Such systems can be costly with higher energy bills, or you may be at risk of preventable shutdowns. D.P. Murt can replace your old aluminum wiring with a new, safer wiring system. We can also ensure that your essential equipment such as switchboards are working properly and efficiently. If you’re interested in saving on energy costs, we install green energy solutions, including energy efficient lighting. At D.P. Murt, we handle everything from system repairs and upgrades to complete design and build systems. If you’re seeking to relocate or expand your place of worship, or if you’d like to improve energy efficiency in your existing location, contact us. We have the manpower and experience to get the task completed on time and to meet your limited budget. Whenever your South Jersey church’s electrical system needs new wiring, repairs or system upgrades, call on D.P. Murt. Contact us using this form for a free electrical survey. We’ll be happy to show you how you can improve your existing systems and save your parish on energy bills.